Jessi's Design: Monday HIGHLIGHT & Quick Craft! Well it's Monday..... that is all. I'd be lying to America, my live-tweet nation and myself if I said I didn't have a weak spot/guilty pleasure addiction for this show.I'm pretty positive that I will always watch this show (so judge away! haha) There is nothing better than a glass (or bottle) of wine on Monday night from 8-10pm watching all the fun drama and craziness unfold while someone hopes to find love. So romantic right? Ha! CHEERS to Monday's once again ya'll!! Follow me on Twitter for all the fun, snarky and sarcastic #Bachelor tweets and recaps! I also wanted to share a quick craft I did this weekend and it is so simple! Dollar store products all the way! 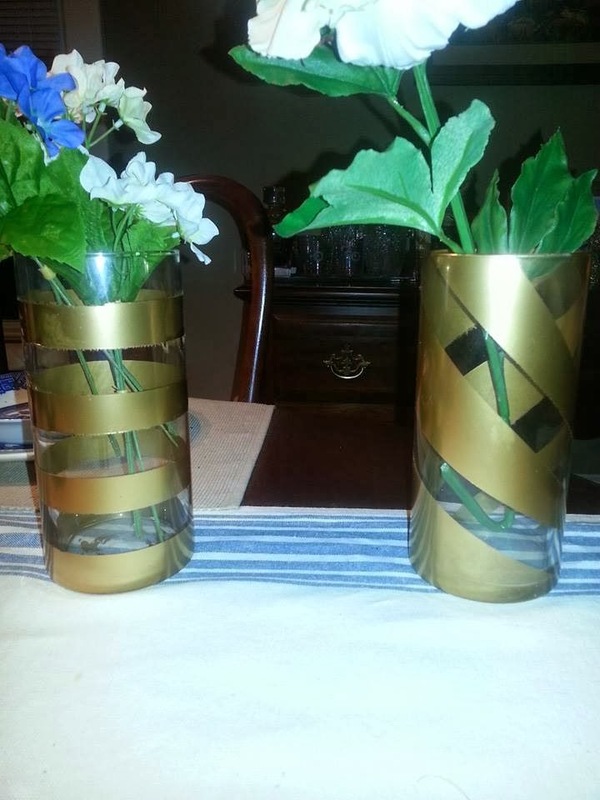 (minus the gold spray paint) Anyway, I bought 2 cylinder glass vases, painters tape and gold spray paint. I wanted to get in on the action on these semi- Kate Spade looking vases. 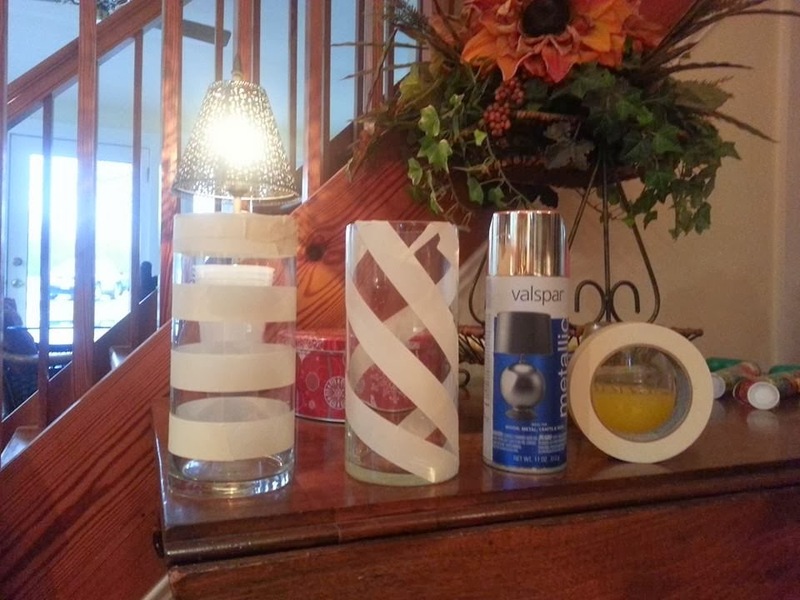 Wrap the vases in your choice of design with the painters tape and then spray paint with desired color. Let dry and then carefully remove the tape. These are so cute and so cheap that you could make so many in so many colors for around the house! (or as gifts!) I jumped on a silk flower kick this weekend as well- although they're fake, aren't they gorgeous? Fake! But I love them! such a cute idea!!! love it. happy monday! those vases are cute, i have a million from the wedding maybe i should try something like this! 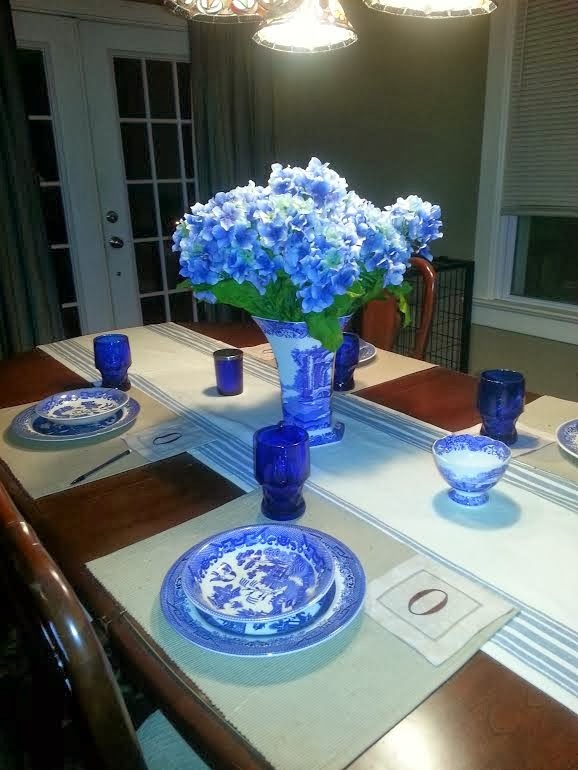 Love love those vases! Great idea! Loooove those vases! And so easy I think even I could handle it! I'm beyond happy the Bachelor is back - it's definitely my guilty pleasure! 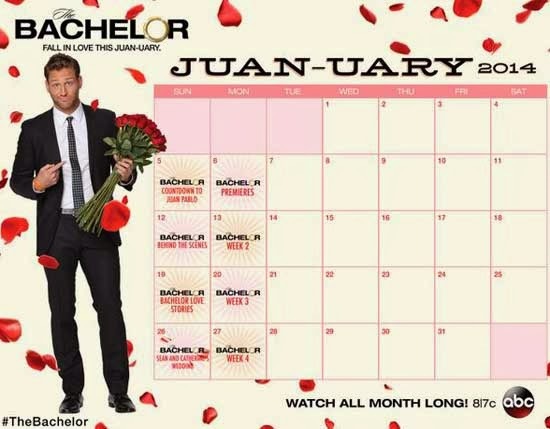 I had no idea there were going to be Bachelor specials every Sunday in January, this just made my day! Happy Monday! 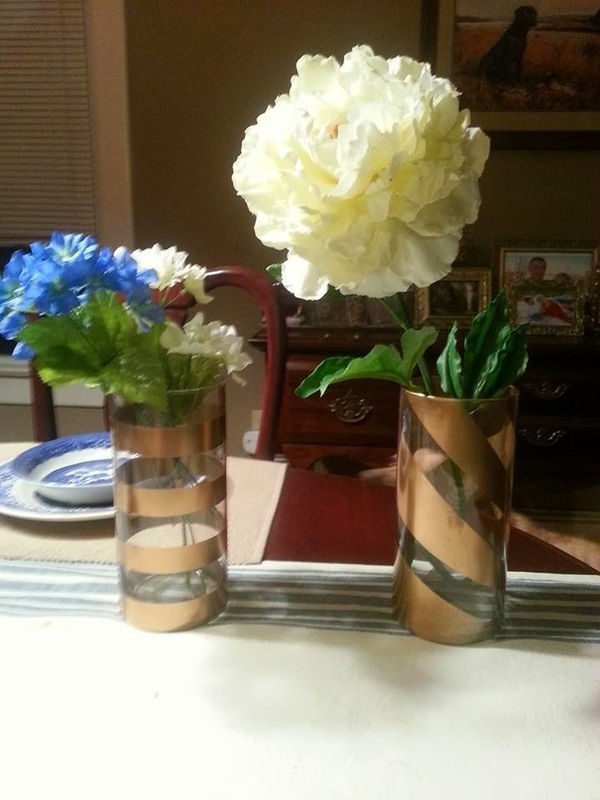 Oooh I love the way the vases turned out! So simple and chic! Oh my I love those vases! I cheat and read reality Steve to see the ending of bachelorette, but I still watch it diligently. 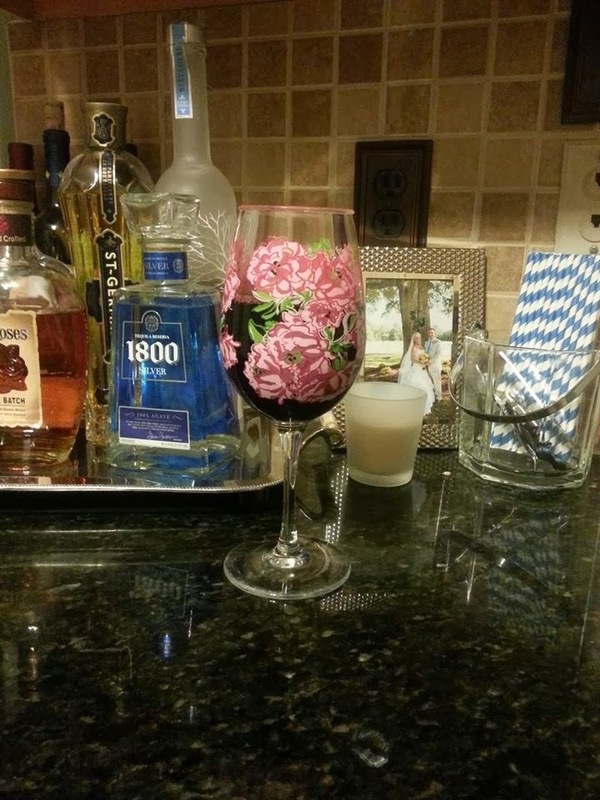 I love your wine glasses! I love the blue and white! :) Total southern charm! obsessed with blue and white!! I love those vases! I've been wanting to make some forever now. I also must follow you on Twitter- I love following people who live tweet!! Love the vases!!! And I am so thankful that ABC chose Monday nights for the Bachelor/Bachelorette...what better way to start the week?!?! Following on twitter right away! Bachelor tweets are my FAVE. hands down! And those vases are perfection! DIY dollar store finds are way better (mooooost of the time) than expensive name brands! Love it! Oh geez I may annoy you when it's all said and done (but just on Mondays!) #Bachelor hahaha Hope your week is fabulous so far as well! !